Ah, Iron Builder. No event draws out such a selection of high quality builds so quickly as a round of Iron Builder - and a new one has just begun! 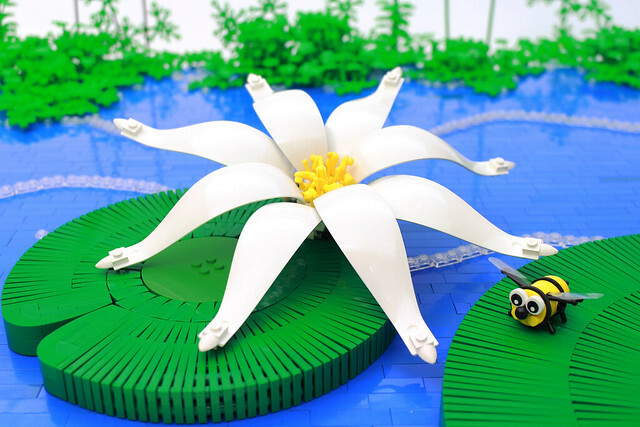 This month's challenger Grant Davis has just posted his first build with the "balloon" pieces; a lovely, serene scene of a lily-pad on a pond. This is only the first of what I'm sure will be plenty of great builds posted over the next month, and I can't wait to see what else Grant and his opponent come up with as the competition heats up! "So We're Saving The Galaxy Again?"